The Rancilio Rocky SD burr grinder is designed to work with the famous MS Silvia espresso machine. 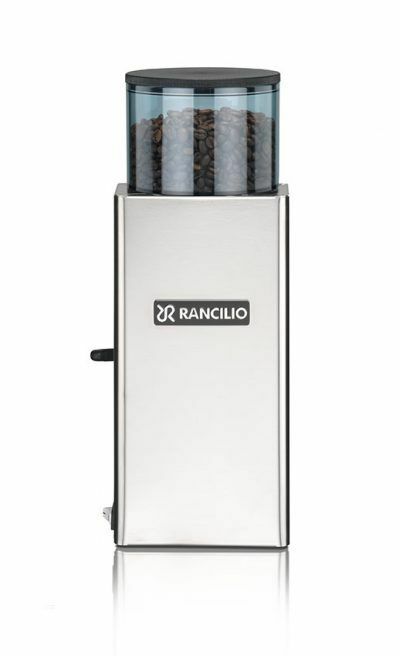 We only offer the non-dosing version of the Rocky grinder. While there are merits for the dosing grinder, we are fans of measuring each dose using a scale. 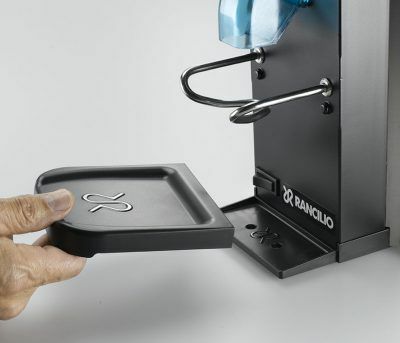 By doing this you can remove a variable when making your favourite coffee as an espresso. 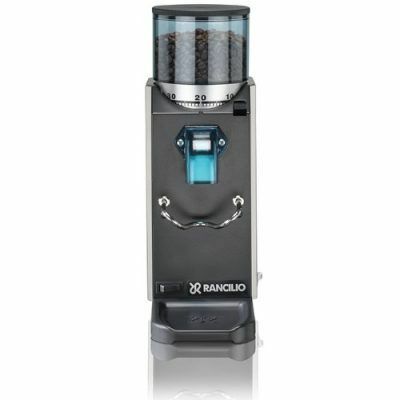 Also by using this approach it is easy to use the grinder for other brew methods. The number display does make it relatively easy to remember where you favourite coffee performs best. 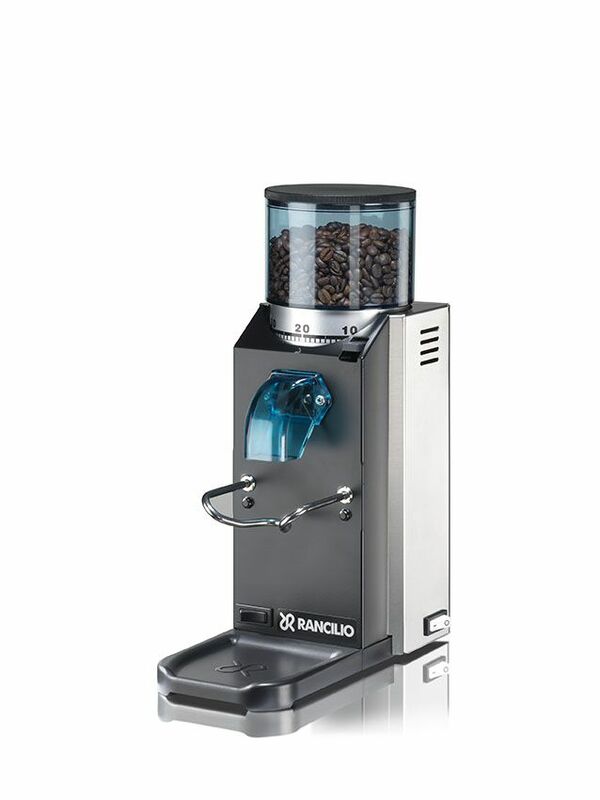 Commercial quality burrs: 50mm tempered steel grinding plates and a powerful 140W thermally insulated motor is housed in a stainless steel body, ensure good quality consistency with heat not affecting the grinds. Grind adjustment: Quickly and simply be adjusted to 55 different grind settings. Without coming close to its’ finest setting, it will grind your coffee fine enough for an espresso or coarse for a french press. Hopper: A 300g bean hopper is coated with a tinted blue UV film to protect your beans and keep them fresh. 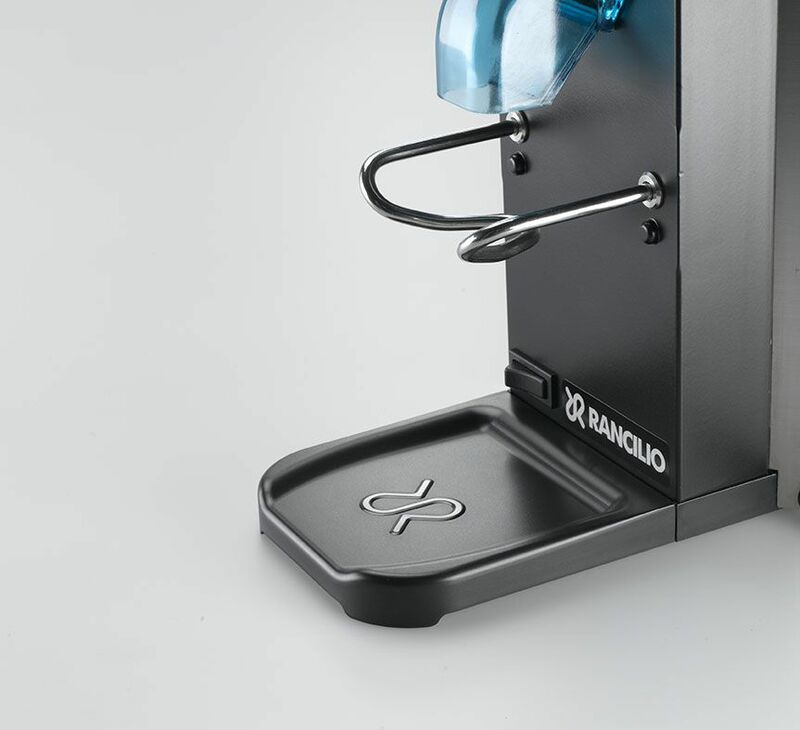 The tinted film ensures you are able to monitor the level of your beans. Output: On a finer grind you can expect to grind 2.5kg of coffee per hour and up to 3.5kg on a coarser grind. Quiet and Safe: The Rocky’s sturdy rubber feet ensure little vibration. A thermal protection sensor is fitted which will shut down the grinder motor if the grinding mechanism jams or overheats. Download or read the manual only here: Rancilio Rocky Manual.